The study of Gann opens up a Pandora’s Box full of esoteric mysteries. As you search for clues and keys to decode TTTA, you find yourself being pulled into a metaphysical realm of the highest order. My Gann files include subjects as follows: Astrology, Sacred Geometry, Hermeticism, Kabbalah, Numerology, Tarot, Pyramidology, Gematria, Bible codes and Prophecy, Masonry, Egyptian Mysteries, Alchemy and the list goes on. In the past 10 years, my study of such sacred knowledge has occupied nearly every waking hour of my life. That’s what Gann study does to you. I’m sure every Gann researcher feels the same. At some point, the puzzle pieces start to come together and a picture emerges where the once separate pieces become one. There is the famous saying that all roads lead to Rome, I would say that all roads lead to Egypt: the heart and soul of the world and the source of all knowledge. We know that Gann travelled to Egypt and India seeking to find ancient knowledge, just as Pythagoras. Through my studies, I have discovered that the Great Pyramid of Giza is the source and foundation stone of all the stories/cycles in the Holy Bible. Obviously, I’m not the first to discover this however; each one of us has a different orientation and perspective. Gann tells you to read the Bible three times and that its the greatest BOOK for forecasting future cycles. The Bible in essence is a compendium of planetary phenomena turned into myths and symbolic stories/cycles. The stories/cycles go way back into time when man started recording the movement of their gods (Stars and Planets) traversing the heavens and then disappearing, dying and resurrecting again. Measuring their movements required counting thus the need for mathematics and geometry emerged. Numbers were discovered as a result not just arbitrarily invented. The Great Pyramid of Giza is prophecy in stone. I have found that a cycle encoded in the Great Pyramid and the Bible is due to end in 2016. 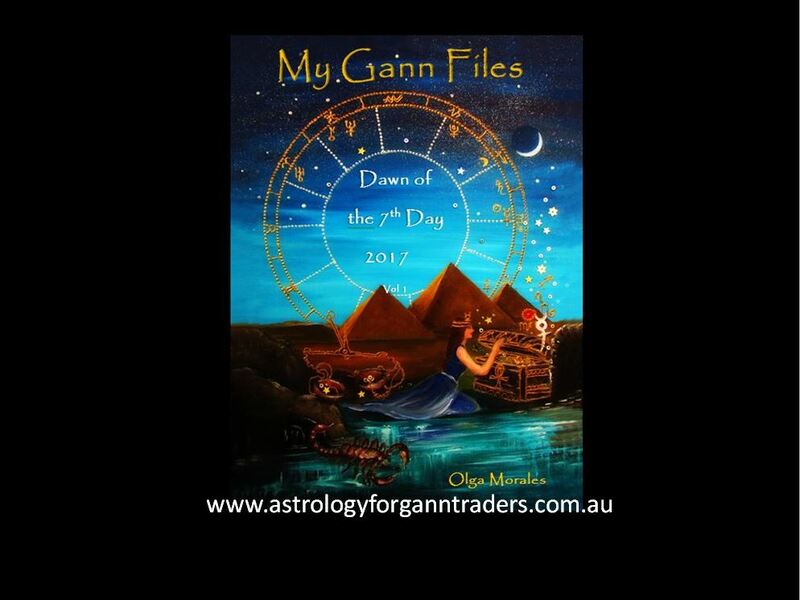 My plan is to write 8 books covering my discoveries and observations that I have recorded in my Gann files. I have never claimed to be a Gann “expert” rather I see myself as a dedicated Gann researcher. The topics may seem disjointed and chaotic, but I’ve tried to minimize the editing to keep my thoughts flowing. This is not a scholarly treatise rather a collection of my research notes and discoveries. I will publish this book on the day that Saturn returns for the third time to its exact degree when Gann published TTTA on the 9th May 1927. The exact third return falls on the 14th November 2015, my 50th birthday! My jubilee tribute to Gann in word begins. “Saturn rules the 7th Hour, 7th Day, 7th Year and 7th Millennium”. “The vibratory activities of the planetary Universe are governed by a law of periodicity. Everything that lives has a period of birth, growth, fruition and decline. These periods are governed by Septimal Law”. “The Great Pyramid of Giza is a testament to the ancient belief of Septimal Law. Seven gods or principals ruled the destiny and cyclic evolution of life on earth”. “The Bible is a crypto-numeric code of universal planetary laws”. and therefore protected from internet piracy.